This dataset is derived from a 2013 household baseline survey in the country's Greenbelt region as part of an impact evaluation of the Food, Agribusiness, and Rural Markets (FARM) Project, which is intended to improve agricultural sector productivity and marketing in the Greenbelt and to support increasing South Sudan's food supply to reach food self-sufficiency. In the process of migrating data to the current DDL platform, datasets with a large number of variables required splitting into multiple spreadsheets. They should be reassembled by the user to understand the data fully. In the process of migrating data to the current DDL platform, datasets with a large number of variables required splitting into multiple spreadsheets. They should be reassembled by the user to understand the data fully. This is the second spreadsheet of three in the USAID Construction Assessment, Primary Awards. This dataset describes the children and their health interviewed as part of Baseline Study of Food for Peace Title II Development Food Assistance Program in Karamoja, Uganda. This dataset contains data from Module D of the questionnaire and has 201 columns and 6,001 rows. In fiscal year 2012, USAID's Office of Food for Peace (FFP) awarded funding to private voluntary organizations (PVOs) to design and implement a multi-year Title II development food assistance program in Uganda. The main purpose of the Title II program is to improve long-term food security of chronically food insecure population in the target regions. FFP contracted a firm, ICF International to conduct a baseline study in targeted areas of the country prior to the start of the new program. The purpose of the study was to assess the current status of key indicators, have a better understanding of prevailing conditions and perceptions of the population in the implementation areas, and serve as a point of comparison for future final evaluations. Results would also be used to further refine program targeting and, where possible, to understand the relationship between variables to inform program design. The study was conducted in 2013, while FFP expects to conduct final evaluations as close as possible to the end of the program five years later. The data asset is comprised of six datasets: 1) a description of all members of the households surveyed, 2) data on maternal health and sanitation practices, 3) data about the children in the household, 4) data describing the agricultural practices of the household, 5) data describing the food consumption of the household (broken into 4 smaller spreadsheets), and 6) and a description of the weights that should be applied during the analysis of the other datasets. The broad panel dataset consists of outcome measures such as popular support for the Afghan government, support from anti-government elements, community cohesion, health access and economic well-being of the Afghan people. This dataset contains the data describing the communities in the program collected as part of the baseline survey generated in support of an impact evaluation of the Ethiopia Pastoralist Areas Resilience Improvement and Market Expansion (PRIME) Project. In the process of migrating data to the current DDL platform, datasets with a large number of variables required splitting into multiple spreadsheets. They should be reassembled by the user to understand the data fully. This dataset is the second of two interim surveys administered from October 2015 through October 2016 to enable the Feed the Future PRIME project in Ethiopia to monitor program performance by reviewing changes in a number of standardized indicators. These indicators reflect data collected through population-based surveys (PBS) in the geographic areas targeted by Feed the Future interventions, known as the Feed the Future Zones of Influence (ZOI). Each survey was administered to a sample of over 400 households in 17 kebeles (communities) once a month over a 6-month period creating for a total of six rounds of data for each survey. The C-CURE System manages certain aspects of the access control system, including collecting employee and contractor names and photographs. The Office of Security uses C-CURE to collect this information to verify that individual employees are who they say they are. This spreadhseet contains historical information regarding public-private partnerships from FY 2001 to FY 2014. 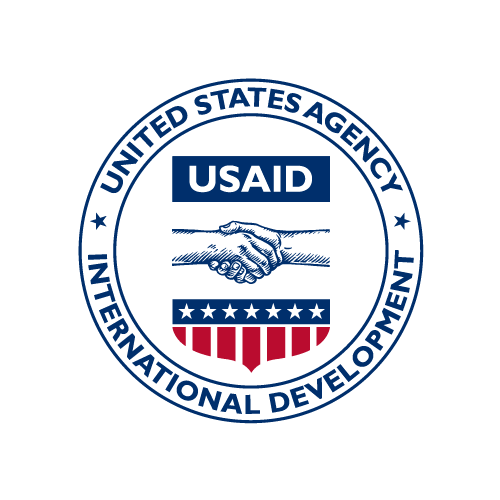 It is part of the data asset that brings together information collected since 2001 on Public Private Partnerships (PPPs) that have been supported by USAID. For the purposes of this dataset a PPP is defined as a USAID-supported development project or initiative which engages the private sector (including corporations, foundations, and other non-governmental actors) as a core resource partner. Due to changes in Agency data collection systems, standards, and internal organization, the data has been collected according to different mechanisms, definitions, and timeframes from 2001-2016, and therefore cannot be considered to be comprehensive of all PPPs during this period. In the process of migrating data to the current DDL platform, datasets with a large number of variables required splitting into multiple spreadsheets. They should be reassembled by the user to understand the data fully. This is the sixth spreadsheet of thirteenin the USAID Construction Assessment, Subawards. This dataset describes the households and its members surveyed as part of the Baseline Study of Food for Peace Title II Development Food Assistance Program in Karamoja, Uganda. This dataset contains data from Module A of the questionnaire and has 35 columns and 29,935 rows. In fiscal year 2012, USAID's Office of Food for Peace (FFP) awarded funding to private voluntary organizations (PVOs) to design and implement a multi-year Title II development food assistance program in Uganda. The main purpose of the Title II program is to improve long-term food security of chronically food insecure population in the target regions. FFP contracted a firm, ICF International to conduct a baseline study in targeted areas of the country prior to the start of the new program. The purpose of the study was to assess the current status of key indicators, have a better understanding of prevailing conditions and perceptions of the population in the implementation areas, and serve as a point of comparison for future final evaluations. Results would also be used to further refine program targeting and, where possible, to understand the relationship between variables to inform program design. The study was conducted in 2013, while FFP expects to conduct final evaluations as close as possible to the end of the program five years later. The data asset is comprised of six datasets: 1) a description of all members of the households surveyed, 2) data on maternal health and sanitation practices, 3) data about the children in the household, 4) data describing the agricultural practices of the household, 5) data describing the food consumption of the household (broken into 4 smaller spreadsheets), and 6) and a description of the weights that should be applied during the analysis of the other datasets.